Microbial electron uptake (EU) is the biological capacity of microbes to accept electrons from electroconductive solid materials. EU has been leveraged for sustainable bioproduction strategies via microbial electrosynthesis (MES). MES often involves the reduction of carbon dioxide to multi-carbon molecules, with electrons derived from electrodes in a bioelectrochemical system. EU can be indirect or direct. Indirect EU-based MES uses electron mediators to transfer electrons to microbes. Although an excellent initial strategy, indirect EU requires higher electrical energy. In contrast, the direct supply of cathodic electrons to microbes (direct EU) is more sustainable and energy efficient. Nonetheless, low product formation due to low electron transfer rates during direct EU remains a major challenge. 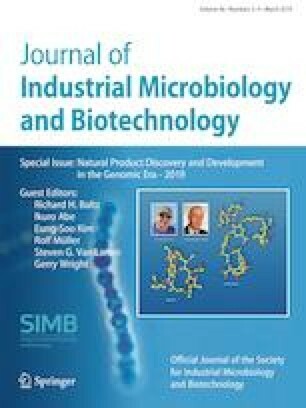 Compared to indirect EU, direct EU is less well-studied perhaps due to the more recent discovery of this microbial capability. This mini-review focuses on the recent advances and challenges of direct EU in relation to MES. The authors would like to acknowledge financial support from the U.S. Department of Energy (Grant number DESC0014613), the David and Lucile Packard Foundation (Grant number 201563111), and the U.S. Department of Defense, Army Research Office (Grant number W911NF-18-1-0037). We would also like to thank Marta Wegorzewska, Washington University in St. Louis, USA for feedback on the manuscript. RK, RS, and AB performed a necessary literature search. RK, RS, and AB wrote the manuscript. AB and RS helped with critical reading and shaping of the manuscript. RK and RS contributed equally to this work. All authors reviewed and contributed to the final version of the manuscript.